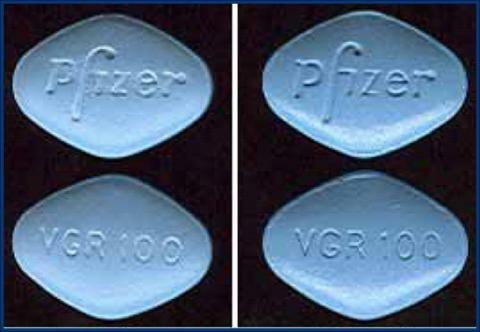 American pharmaceutical companyPfizer(Pfizer) announced that it will open a new Viagra direct sales site against the fact that websites that sell fake Viagra on the net rampant. According to the announcement, it is said that false Viagra on the net is made in unsanitary place, there are also used inks for insecticides and printers, and it is disclosed as a fake Viagra pharmaceutical site The pictures being done are pretty shocking things. 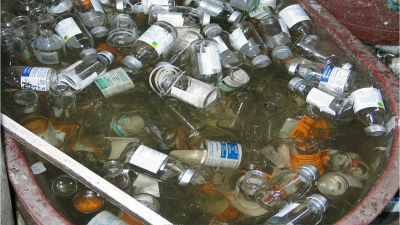 National Association of Boards of Pharmacy (NABP)According to a survey, only 3% of the regular pharmacies selling medicines on line are online, about half of them are preparing medicine outside the United States,American Food and Drug AdministrationHe is dealing with drugs that are not approved for. This means that 97% of shops that sell drugs online do not meet online pharmacy standards, and NABP says "I do not recommend" such purchases at pharmacies. There are 24 million searches of Viagra per year, and many people are interested, but the fact that there are many fake medicines is the current state of online sales. 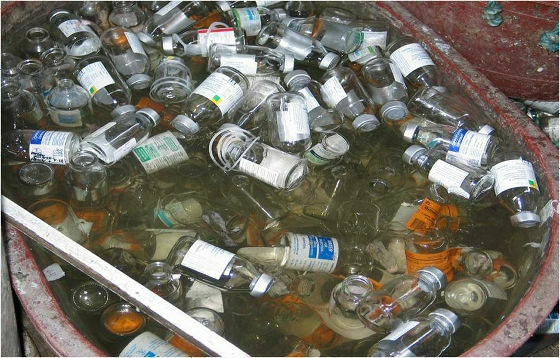 In 2011, when Pfizer Global Security searched the net with "buy Viagra (Viagra purchase)", 22 web sites handling Viagra, which is regarded as the same component as Pfizer, were displayed at the top of the search results 80% Viagra is an illicit medicine, and the active ingredient citric acidSildenafilWas only contained 30 to 50% of the original. Below is a false Viagra (left) and a genuine Viagra (right). 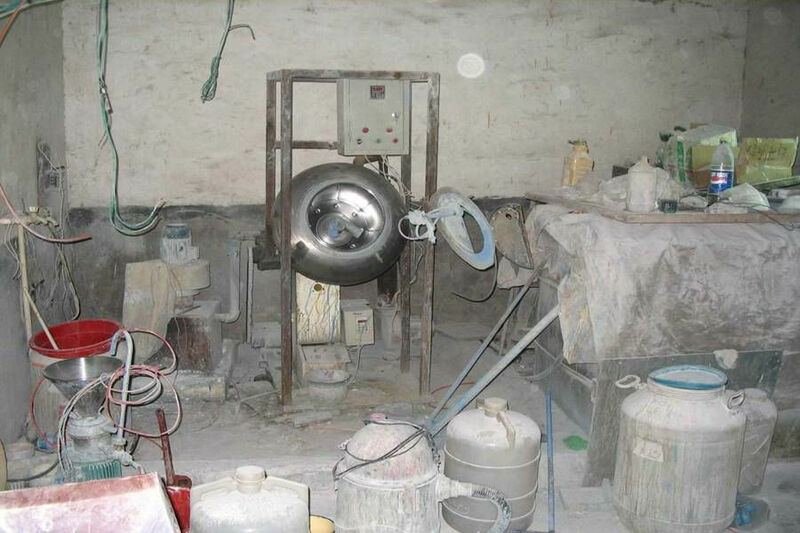 Furthermore, when examined in the lab, it is said that some of the illicit medicines were incorrect in the composition table of the labels, others that contained wall materials, commercial paint, insecticide, printer ink etc. 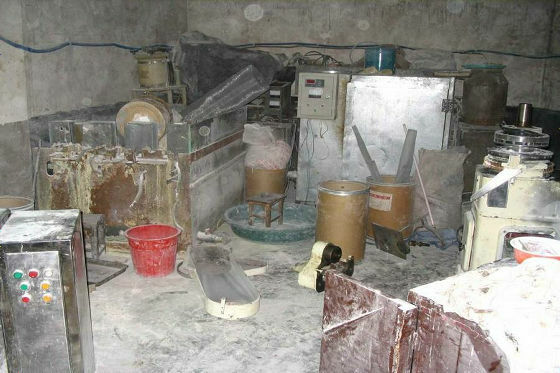 This is the site where unlawful drugs are prepared. Where the factory ......? It is such a photograph that I think. 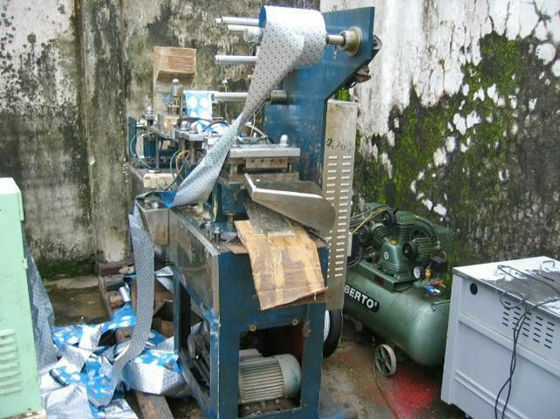 A machine that prints labels. 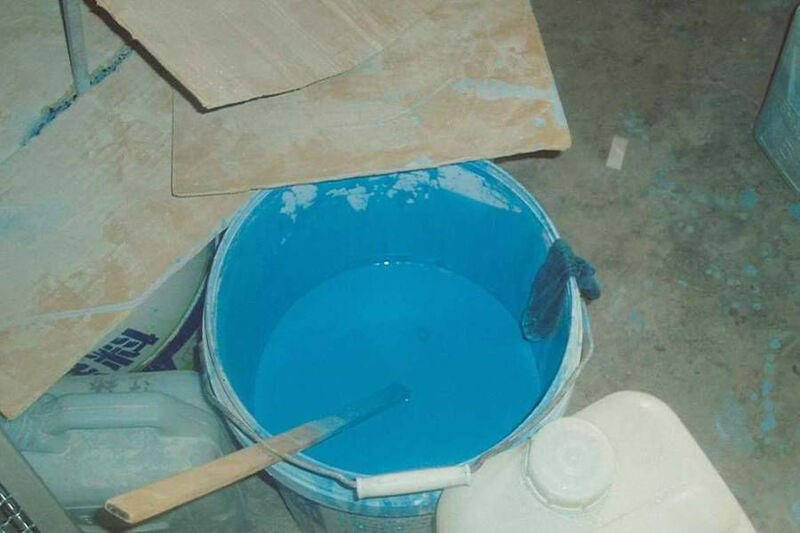 A familiar light blue paint. Bottle of medicine attached to sewage. We conducted an ED survey for 1,000 American men in 2011, and 4 men out of 5 (about 82%) feel that it is difficult to judge whether a pharmacy on the Internet is legitimate or not , And one in three people (about 36%) seems to consider purchasing medicines for ED such as Viagra based on the search on the net. Pfizer is striving to continue to strive to spread genuine pharmaceuticals globally so that consumers will not prey on these illicit drugs. 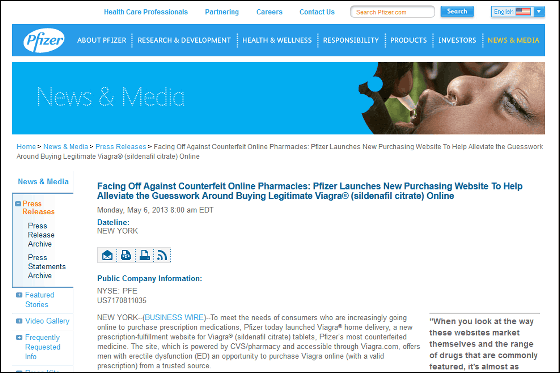 Pfizer's new direct sales site "viagra.com" is a major pharmacy chain in the United StatesCVS / PharmacyTo guide users to the site operated by. A prescription is necessary to purchase Viagra and medical insurance is also applied. Pfizer seems to consider expanding the subject of net sales to drugs other than Viagra in the future. Mix horse meat in beef · Continue fighting to find food impersonation such as mixing pulp material in Parmesan cheese "Food detectives"
A kit that allows you to shoot pictures and videos by skipping the camera to 30,000 meters above the sky with a balloon "Kepler Space Kit"